For applications which require a sleek architectural design and finish. Appearance – Design of Interna-Rail® combines the clean look of welded rail with all the benefits of a mechanical system. 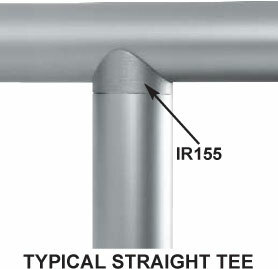 Strength – Interna-Rail® can be designed to meet any building code. Please refer to the structural test data. 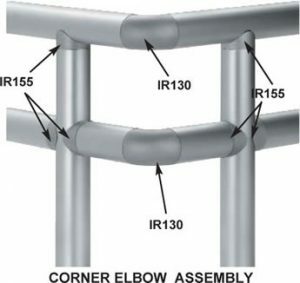 Corrosion Resistance – All Interna-Rail® aluminum fittings are supplied with a 215-R1 anodized finish which provides additional resistance to corrosion and staining. The hardware supplied with the product is stainless steel. Mill finish fittings are also available. Durability – The double tang set screw activated design provides a virtually maintenance free system which is inherently longer lasting than those which utilize adhesives and pop rivet. Vertical Posts – Pre-assembled vertical posts, complete with hardware, ready for assembly of horizontal rails and installation. Pre-fabricated System – Complete system, fabricated and assembled to your specifications, match marked and ready for installation. 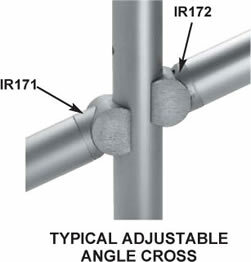 Interna-Rail® is designed to meet the requirements of the Americans with Disabilities Act. 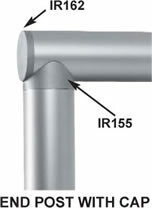 Handrail bracket IR85 can be rotated to any angle for ramps or stairs. 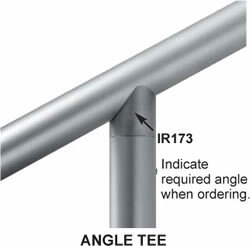 Provides for 1-1/2″ clearance between handrail and post or wall. The underslung, rounded design creates a continuous gripping surface with no sharp edges. System can be supplied mill, anodized or powder coated. 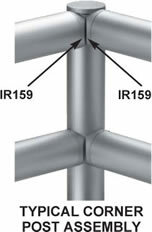 End loops, wall returns, flanges, elbows, splices and tangent bends are available. What’s on the inside makes the outside look even better! End cap fits flush with fittings for a smooth appearance. 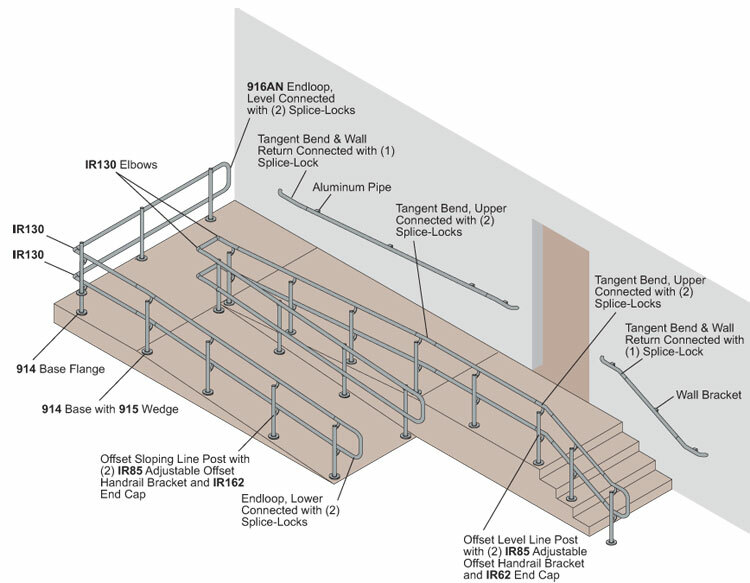 Vertical posts or complete handrail systems can be specified. 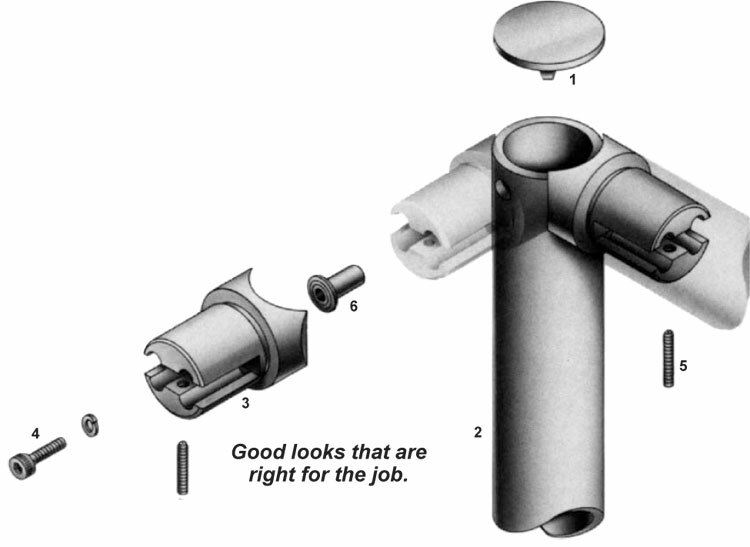 Fittings are supplied with all necessary modifications and hardware according to the configuration needed. Socket head cap screw connects fitting to the installed tubular rivet with a hex wrench. Knurled stainless steel set screws spread the fitting tangs apart while connecting the fitting and horizontal pipe. 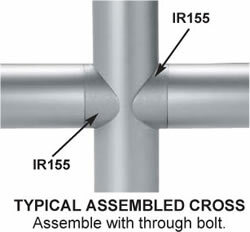 Tubular rivet provides maximum thread engagement for a secure vertical post to fitting connection.